Go on a virtual safari without leaving your home, getting up close and personal with rare and exotic wild animals from Northern Kenya in the Webby award-winning experience. 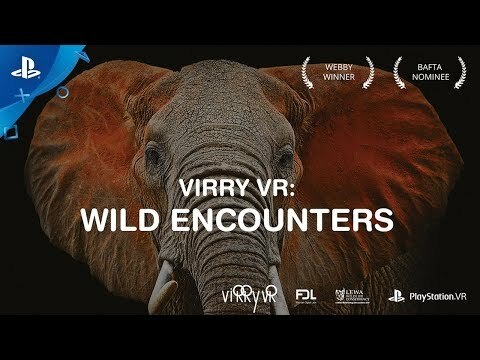 It’s a unique interactive experience created with a custom-built 360° 4K camera rig filmed at Lewa Wildlife Conservancy in Kenya that allows you to discover wilderness you have never encountered in an incredibly close and personal way. Get up close with a herd of elephants, feed Nditu the orphaned giraffe, and give meat to a hungry cheetah. Take a walk with Elvis the black rhino, meet hyenas, baboons, buffalo and bottle feed Kitui, the playful baby rhino, as well as taking in the paradise vistas from a unique treetop walk. What if we were to tell you that elephants are carnivorous? Would we be lying? Well, of course we would, but something magical happened during our filming in Kenya that may give you pause. You will meet and closely interact with eight different species of African megafauna, including elephants. One of the most interesting stories our Virry team brought from the filming was an entirely unexpected encounter with a herd of elephants. Raw meat was left by the camera and lions were expected. When the footage was later reviewed, we were surprised that instead, elephants had appeared. You won't believe how curious they were about the meat and what they did next - you really have to see it for yourself!